There’s been a lot of talk about the decline of the Sunday morning shows recently, but today on Face the Nation, host Bob Schieffer shared a fascinating tidbit you’re unlikely to hear anywhere else. 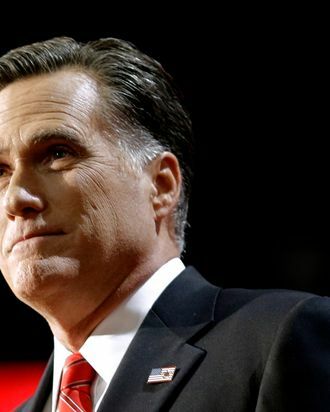 “I have a source that told me that if Jeb Bush decides not to run, that Mitt Romney may actually try it again,” Schieffer said, explaining that Republicans are “very concerned that the party is not moving forward, that the party is moving so far to the right that they can’t elect a presidential candidate.” And if Romney decides to sit this one out, the GOP can always turn to another guy they couldn’t get elected the first time. Former Senator Bob Dole claims he’s touring Kansas right now to say thank you to his supporters, but we can read between the lines.